I want a . . .
Getting a quality Golden Retriever puppy can be a challenge but taking your time and making good decisions will reward you for years. While the puppy mills and commercial breeders almost always have puppies available and will let you take your pick, the people you really want to buy from are the hobby breeders who are breeding for themselves. Hobby breeders are always looking for great homes for dogs but they sometimes cannot let you know until the puppies are about 8 weeks old who is available. And the good breeders often have waiting lists. My comment to people who are puppy shopping is that if you can walk in and get a puppy, be alarmed. The AKC has a breeder list on its website but you should be advised that there are no criteria for quality used by AKC or most other websites. It's a”pay your money and send your information" opportunity. The Golden Retriever Club of America (grca.org) also has a site and each Club monitors who is allowed to list litters. So the standards may vary but there are standards. It's a good place to start. Real hobby breeders are doing things with their dogs - that’s why temperament and willingness to learn are so important to us. Go to some dog shows or obedience trials and watch people to see how they interact with their dogs. Plan to talk to multiple breeders to choose the one whose values are in line with yours. If the people you meet are not people you want to have a 12 plus year relationship, then keep looking. Because when you buy a dog from a reputable breeder you are entering into a relationship. This dog will live with you and your family for many many years. This is not a decision to take lightly. Responsible breeders look at the folks wanting Goldendoodles with amazement. Who else would think to create a demand and charge a premium for what is a mixed breed dogs - in less politically correct times, a mutt. For more information on Goldendoodles as well as the Rare English Creams (also not a special breed) we recommend these links. All of these dogs are acceptable shades of gold. They are not rare nor from England. The following article was not written by me. It was written by a well-known breeder of Corgis. 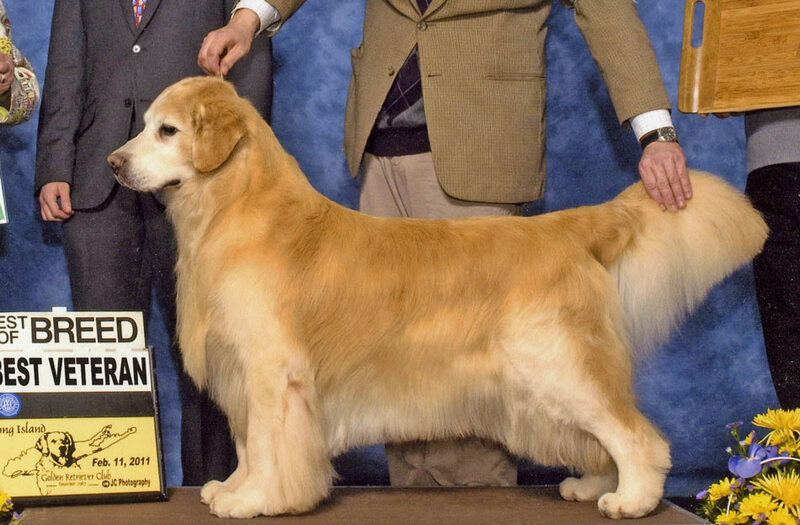 While I have tried to adapt it for Goldens, I have not changed much. I don’t know that I would actually have ever written this, but it is pretty accurate. While not everything in here is applicable to the way we manage dogs, I think it is a good read as you try to navigate the process and find the puppy of your dreams. And the good breeders all do know one another. The classic mistake puppy buyers make is saying “I need a Golden puppy at the beginning of the fall or whatever it may be. So they go out looking for litters due in August. BAD IDEA. The initial email should be several paragraphs long; block out at least an hour of quiet for the first phone call. When you initiate contact, clearly communicate three things: You are ready for a puppy, you are ready for a puppy of this breed, and you understand what sets this breeder apart from the others and you share that commitment. Specifically describe your plans for this puppy; be truthful. If you are not going to be able to go to four training classes a year, SAY SO. Don’t say “Of course, training is a huge priority around here,” or you’re going to end up with a puppy who’s flushing your toilet sixty times a day because he’s so bored and you’re not challenging him. That’s the kind of email that gets a response, and usually pretty quickly. If I get something that says “I hear you have puppies on the way; how much?” it goes in the recycle bin before you can blink. Bring up price either at the end of the first contact (if it’s been successful and you feel a connection to this person) or in a follow-up contact. It’s nice to say “If you don’t mind me asking, about how much are [breed]s in this area, if there is a typical price? I just want to be prepared.” The breeder will usually give you two pieces of useful information: Her price, and the median prices around you. That way, if you decide to go a different way, you know about what to expect. If the second person you contact names a price that’s double the median, try to discreetly find out why. A very difficult pregnancy, nationally ranked parents, a surgical AI, c-section resulting in very few live puppies, those are some reasons a breeder could be asking more and it’s reasonable. If there’s no real difference from the other breeders except price, think carefully. PLEASE DO NOT GET ON MORE THAN ONE WAITING LIST unless you are VERY honest about it. This goes back to rule 1. You need to understand that we think our puppy buyers are just as in love with the puppies as we are. We’re posting pictures, writing up instructions, burning CDs, researching everything from pedigrees to nail grinding, all so we can hand off this puppy, this supreme glorious creature of wonderfulness, with the absolute maximum chance that it will lead a fabulous life with you, and we’ve built all kinds of air castles in our heads about how happy this puppy will be, and what it will do in its life with you, and so on. Finding out that you had your name on four lists shows that you don’t realize that puppies are not packages of lunch meat, where getting one from Shaws is basically the same as getting one from Stop and Shop. Also, as soon as your name is on one of our lists, we’re turning away puppy buyers. If we’ve sent ten people elsewhere because our list is full, and then suddenly you say “Oh, yeah, I got a puppy from someone else,” it really toasts our bread. So just BE HONEST. If someone came to me and said “I’m on a list with So and So, but she’s pretty sure she won’t have a puppy for me, and I’d love to be considered for one of your dogs and I’ll let you know just as soon as I know,” I’m FINE with that. I understand how this goes. It’s not a disaster for me to have a puppy “left over” at eight weeks because you ended up getting that So and So puppy; it’s just frustrating to have the rug yanked out from under me..
My responsibility is not to make you happy. And that, dear friends, is why I am posting this now, and not when I have a bunch of actual puppy buyers around. But it’s the truth. My responsibility is to the BREED first. That’s why my first priority in placing puppies is the show owners, because they are the ones that will (if all goes well) use this dog to keep the breed going. It’s not that I like them better than I like you; it’s that I have to be extremely careful who I place with them so that they can make breeding decisions with the very best genetic material I can hand them. My second responsibility is to the PUPPY. 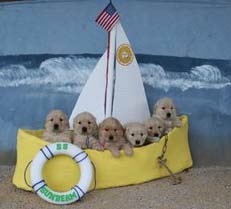 I will place each puppy where I feel that it has the best chance of success and the optimal environment to thrive. ONCE YOU GET YOUR PUPPY, THERE WILL ONLY BE THAT PUPPY IN THE WHOLE WORLD. If you’ve been sitting around with your fingers crossed saying “Please, Molly, please, Molly, I only love Molly,” and I say “I really think Moe is the one for you,” you’re probably going to feel disappointed. But take Moe and go sit on the couch, and put your finger in her mouth, and realize that she has a really cool white toe on one foot but none of the other feet have white toes, and let her try to find a treat in your pocket, and I guarantee you by the time you’re five minutes out of my driveway Moe will be YOUR puppy. And a year later you may remember that you thought Molly was so pretty, but Moe… well, Moe could practically run the Pentagon she’s so smart, and her face turned out MUCH more beautiful than Molly’s did. And so on. PLEASE FINISH THE ENCOUNTER WITH ONE BREEDER BEFORE BEGINNING ONE WITH ANOTHER. If you end a conversation with me saying “Well, this just all sounds wonderful, and I’m going to talk it over with my wife and we’ll call you about getting on your waiting list,” and then you hang up and call the next person on your list, that’s not OK. If you don’t feel like you click with me, or you want to keep your options open, a very easy way to say it is to ask for the names and numbers of other breeders I recommend. That way I know we’re not “going steady,” and I won’t pencil you in on my list. If you are on my waiting list, and you decide that you don’t want to be anymore, call me AS SOON AS YOU KNOW and say “Joanna, I’m so sorry, but our life has gotten a little crazy and I need to be taken off the puppy list.” And I make sympathetic noises and take you off. If, then, you decide you want to get a different puppy, be my guest. Just keep me apprised and let me close off my commitment to you before you open it with another breeder. If you err, err on the side of this being a relationship, not a transaction. Try to act the way you would with a good friend, not with an appliance salesman. And the ending will be as happy for you as it is happy for us.